Get your tickets to the hottest illuminated carnival presentation this year, we’re planning a great party to celebrate the spectacular illuminated parade and as an entrant your invited! Win or lose, we’ll also have a well-stocked bar and a few filled rolls as well! Our carnival disco will be banging out all the tunes and for those of you just wanting to chat (and drink) we’ll also have our quieter room so you don’t have the shout over all those carnival tunes! 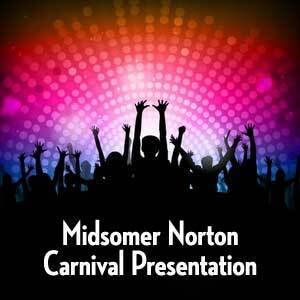 The presentation starts from 7pm to 11:30pm and it all happens around at the Somer Centre, Midsomer Norton BA3 2UH. Please note: Tickets will ONLY be available online, discounted tickets are only available until the Friday before, full price £8 tickets will be available afterwards subject to availability but will not be sold on the door. All under 5’s go free.